The official Android 4.4.2 AUCUCMLG KitKat is expected to be launched OTA soon for the AT&T Samsung Galaxy Note 3 devices. However, it would be released in phases and might take a good few weeks. 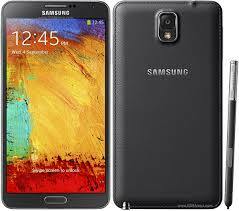 You can also choose to install leaked AUCUCMLG Android 4.4.2 on Galaxy Note 3 AT&T variant N900A. Enjoy the KitKat experience before even official release! Ensure that your AT&T Samsung Galaxy Note 3 carries more than 80% of charge. Files required: download the leaked AUCUCMLG Android 4.4.2 firmware from this link. Also download the Odin3 v3.09 for installation from here. Unzip leaked firmware file inside the extracted Odin folder. Install Odin on your PC and launch it. Switch your Samsung Galaxy Note 3 off and boot it in Download mode: press and hold Volume Down and Home buttons together. When connected successfully, you will get a message in Odin saying Added!!. (In case you don’t get it, try another USB port. If that doesn’t help either, then re-install USB drivers). Open PA on Odin; from the new window, locate the leaked Android 4.4.2 file and hit the Start button to initiate the update process. When update installation is successfully completed, on Odin ID:COM will turn green and Odin will show you a PASS message. AT&T Samsung Galaxy Note 3 will then restart and you can then disconnect your device from computer.